Storefront 9 typifies Pageflex's approach to the market place; a focus on driving value, easy end-user experience and simple yet robust marketing tools. 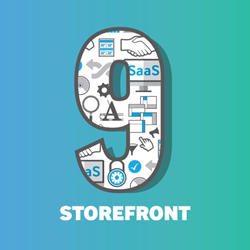 Designed from the ground up with both desktop and mobile users in mind, Storefront 9 brings all the improvements to the Storefront experience that customers have been waiting for, along with a total makeover and much-improved performance. Improvements on the end-user ordering experience make Storefront 9 a more intuitive and seamless platform for both experienced and novice users. Storefront, and its Enterprise Pando version, support hundreds of companies and thousands of end-users; from large financial institutions to mid-Enterprise sales-first organizations to marketing and print service providers. Storefront 9 utilizes the latest web technologies, from user-friendly drag-and-drop to developer-friendly CSS preprocessors. Modern web framework and responsive design are essential parts of the new release, as are improved image editing and simplified checkout. Vastly updated storefront pages, give the storefront catalog a total makeover, with configurable widgets, custom search filters, and much-improved performance. Campaign manager Reporting and Analytics have also been bolstered, providing better insights for better decision making. About Pageflex: Companies worldwide rely on Pageflex to streamline their marketing processes, protect their brand and increase engagement with local marketing teams, prospects and customers. Pageflex is well established as a global provider of marketing automation tools for organizations with channel partners, distributed marketing, and remote sales teams. Our continuing mission is to safely empower sales and marketing teams closest to the customer to personalize and customize marketing communications across the growing list of channels that matter. In 2017, Pageflex expanded it's hosted offering to make more solutions available on a Software-as-a-Service basis.